Friday Winter Social Tennis is back! 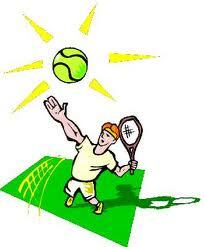 TLGTA would like to invite you to our first session of the season @ Toronto Tennis City. We are starting a half hour later this year, because Toronto Tennis City has other functions. There is street parking. There's also a convenience store on Pailton Crescent. You can park in the parking lot on the south side of the convenience store. Reservation is done on a first come, first serve basis. You must register through our website. You may cancel your reservation anytime by the end of day on Tuesday, October 29th. Afterwards, you will be charged if we cannot find a replacement. Looking forward to seeing all of you on November 1st!